In a matter of weeks, Singaporeans will elect their eighth president in the first-ever reserved election. Nur Asyiqin Mohamad Salleh brings you an A to Z guide on the presidency and the coming election. The president's panel of wise men has expanded, and wields more power following changes to the elected presidency passed in Parliament last November. The president must now consult the Council of Presidential Advisers (CPA) on all - as opposed to some - monetary matters relating to the reserves, and on key public service appointments. If the president acts in accordance with the CPA's advice, his veto is final and the Government must abide by it. If he goes against its advice, the Government can bring the matter up to Parliament, which can override the president's decision with a two-thirds majority. In the light of its heavier responsibilities, the CPA now has eight members, up from six. After all, as Prime Minister Lee Hsien Loong noted: "The system does not solely rely on the judgment of a single person acting alone but, rather, on the president well advised by a team of wise and experienced men and women." The road to a reserved election began in January last year, when PM Lee raised the need for a review of the political system during the first Parliament session since the 2015 General Election. A Bill to amend the Constitution was passed last November with the backing of 77 MPs, after a Constitutional Commission set out its recommendations on the elected presidency, and after three days of intense debate in Parliament. All six elected Workers' Party MPs voted against the changes, which include raising the eligibility criteria for presidential candidates, strengthening the Council of Presidential Advisers, and ensuring members of racial minority groups are elected from time to time through a hiatus-triggered reserved election. The changes were the widest made to the elected presidency scheme in its 26-year history. Are you Malay enough to be Singapore's next president? That decision lies in the hands of the Community Committee, a new feature of the presidential election. Its first task is to assess whether those hoping to stand in this month's polls are part of the Malay community. These hopefuls will be informed of the result by Sept 12, after the five members of the Malay community sub-committee deliberate on their applications. Presidential hopefuls must declare which of the three main communities they consider themselves a part of, and will be issued a certificate if the respective sub-committee agrees. This process may require the person to provide further information and to be interviewed, among other things. The Community Committee will be convened even during an open election, and candidates will still have to declare their ethnicity as this will help determine when a reserved election should be triggered. Campaign rules have been changed to discourage divisive electioneering. The authorities, for one, will no longer designate election rally sites. This is because rallies "by their nature and format, may be divisive and not congruent with the unifying role of the elected presidency", as Minister in the Prime Minister's Office Chan Chun Sing put it. Candidates can pick their preferred sites, but must apply to the police for a rally permit. This was almost a decade in the making. 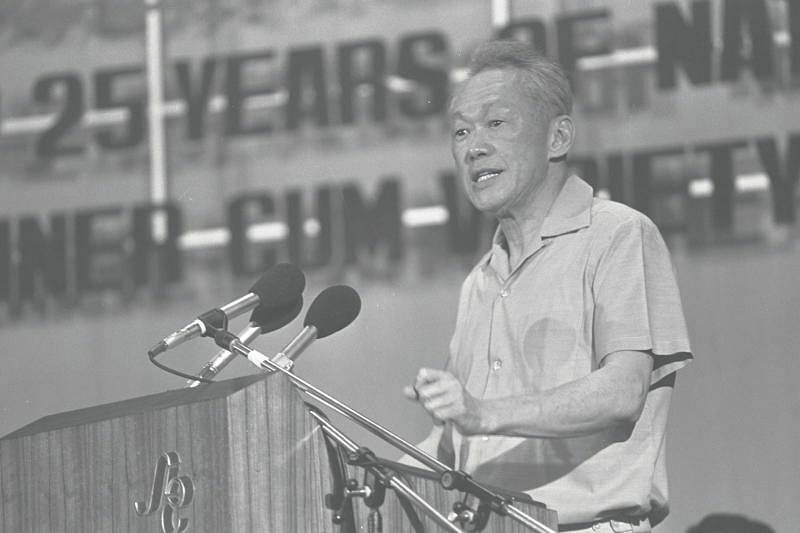 The elected presidency was first mooted by founding prime minister Lee Kuan Yew in 1984, but took effect only seven years later, in 1991, after two White Papers were debated in Parliament from 1988 to 1990. Before that, presidents were appointed by Parliament and served a largely ceremonial role, save for discretionary powers over select matters, such as the appointment of the prime minister. The elected president, however, is vested with custodial powers over the country's reserves, among other things. A school dropout who worked as a grasscutter at age 13 after his father died, Mr Farid Khan now has his eye on the presidency. He is the chairman of Bourbon Offshore Asia Pacific, a regional marine services company with a reported shareholder equity of around US$300 million (S$407 million). He was the second aspiring candidate to submit the required forms. It was a long slog up the ranks for Mr Farid, now 61, who spent years taking on a string of blue-collar jobs that ranged from lorry attendant to janitor. He attributes his success now to Singapore's meritocratic system. For him, the presidency is a way to serve and give back to the nation. This was the role the late Mr Lee Kuan Yew saw the president playing: goalkepeer, the very last line of defence against a rogue government bent on squandering the country's reserves or installing cronies in key public positions. "You need a wise person in that job to play the goalkeeper, and your council of advisers are fullbacks to prevent stupid people - your own players - from kicking into your own goal," said founding prime minister, Mr Lee, in an interview. This comparison resurfaced over the past year as PM Lee told Parliament that the president is "neither the government nor is he the opposition". "He is a custodian. He's a goalkeeper," he said, noting that while the Constitution gives the president power to block certain actions of the government, it does not give him the power to initiate policies. For months, she deflected questions by reporters on persistent talk that she would run for election, being one of the few publicly-known Malay candidates who would automatically qualify for the contest. 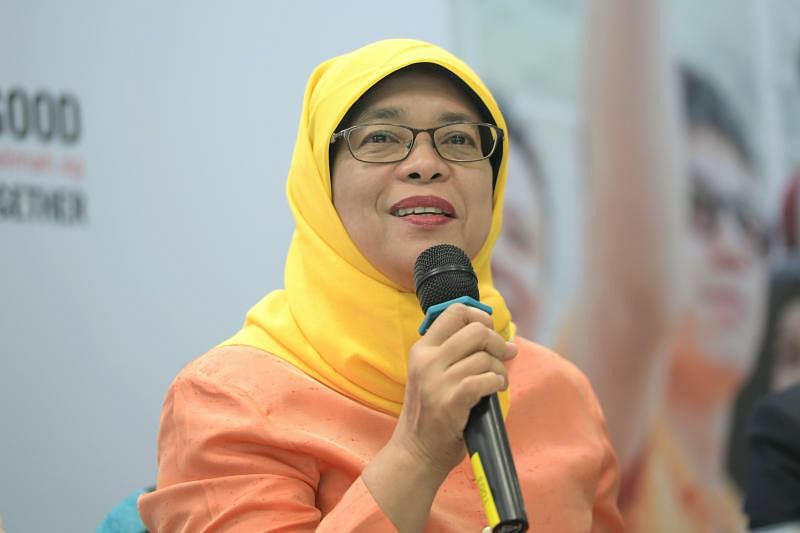 Madam Halimah Yacob, 63, finally put the flurry of speculation to rest when she announced at a National Day dinner that she would be leaving her party and political posts to stand. She said then: "It is a heavy responsibility but I hope that with the support of Singaporeans, we can do more good together." Last Wednesday, she became the last known hopeful to submit the necessary forms. The former Speaker of Parliament and veteran People's Action Party (PAP) MP - who, as a schoolgirl, helped her mother hawk nasi padang to support the family - entered politics in 2001, after a decades-long career with the labour movement. The Constitution dictates that the president be non-partisan and apolitical - and the three aspiring candidates have taken pains to stress their independence. Businessmen Farid Khan and Salleh Marican point out that they have no ties to political parties, while Madam Halimah Yacob - who has been out of politics for less than a month - says she has always put "people before party colours", and has the track record to prove that she does not always toe the government line. An occasion she cited was when she abstained from voting on amendments to the Human Organ Transplant Act in Parliament in 2007 because she was concerned that this would lead to poor people being persuaded to "sell" their organs. "I know people have that concern because of my past affiliation with the PAP," Madam Halimah said. "But I just want to say that the President has a duty first and foremost to Singapore and Singaporeans, and not to any party." Calls emerged during the discussion on changes to the elected presidency to abolish the entire system instead. The Workers' Party was among these voices, reiterating a stance it has held since the 1980s. One reason it gave was that the elected president could be an unnecessary alternative power centre. The WP wanted a return to the former system of appointed, ceremonial presidents, and said it was open to the idea of additional parliamentary mechanisms to safeguard the reserves instead. It also worried that an elected president could potentially "cripple" a non-PAP government, noting that those who qualify to run come from an elite group, and many are "senior officials appointed under the PAP Government". The WP wanted a return to the former system of appointed, ceremonial presidents, and said it was open to the idea of additional parliamentary mechanisms - such as requiring a super-majority vote - to safeguard the reserves instead. A Constitutional Commission reviewing aspects of the elected presidency also raised the possibility of a return to an appointed president, and hiving off the president's custodial powers to a body of experts. The Government rejected this, arguing that the holder of the second key needed a direct mandate from the people to have the moral authority to veto a government action. Two "keys" guard Singapore's reserves and the integrity of its public service. The Government holds the first key, but the president wields the second. He must agree before the Government can dip into past reserves or make key public service appointments. The first president to turn the second key and unlock past reserves was the late Mr S R Nathan. During the 2009 financial crisis, the Government sought and obtained his approval to withdraw $4.9 billion from the reserves to fund schemes to save jobs and stabilise the economy. 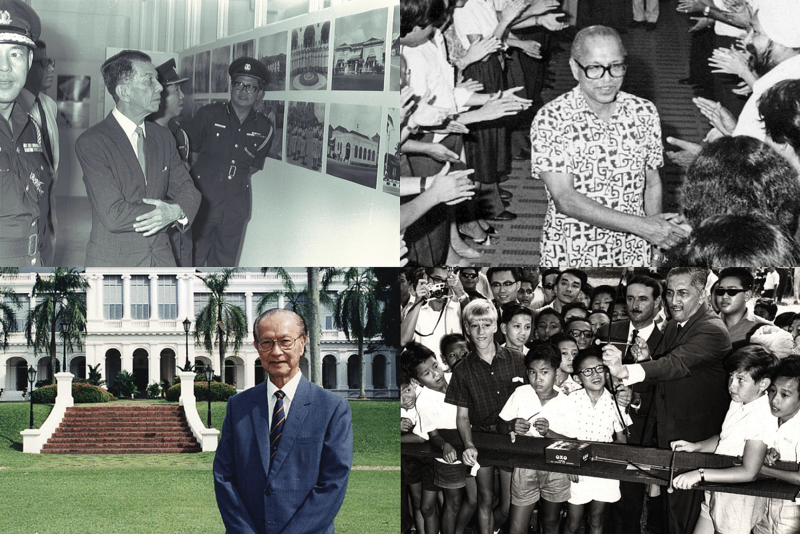 The elected presidency system came into effect in 1991, part-way into Dr Wee Kim Wee's term as president. This made him the first to be vested with the powers of the elected president - even though he was appointed by Parliament. The Government therefore started its count of the five terms needed to trigger a reserved election from Dr Wee's term, although it was his successor, Mr Ong Teng Cheong, who was the first president to be elected directly by citizens in 1993. This was a sticking point for former presidential candidate Tan Cheng Bock, who this year mounted a legal challenge on the basis of the upcoming election, which is reserved for Malay candidates. Dr Tan believes it is unconstitutional for the Government to start its count from Dr Wee's term. The case was dismissed - as was Dr Tan's subsequent appeal. The reasoning was that Parliament has the right to decide when to start the count, and it is a fact that Dr Wee was the first president to exercise the powers of the elected president. A separate challenge brought by non-practising lawyer M. Ravi was also dismissed. It was the parliamentary gaffe that caused a stir. During the debate on changes to the elected presidency, Mr Chan Chun Sing mistakenly addressed Madam Halimah Yacob as "Madam President" instead of "Madam Speaker". Madam Halimah, in an interview, said: "I thought I heard it wrong the first time, so I didn't say anything. Then it was mentioned the second time. I almost fell off the chair. I felt very stressed out. "After the sitting, he told me it was unintended, it was a slip. I accepted his explanation." PM Lee started the ball rolling last Monday, when he issued the Writ of Election. The next stage of the process will be Nomination Day, on Sept 13. Singaporeans get to know then if they will cast their vote or if the election is a walkover. Nomination Day now has to come at least 10 days after the prime minister issues the Writ of Election instead of five, giving the Presidential Elections Committee more time to scrutinise applications. Aspiring candidates will be told by Sept 12 whether they qualify, and those who do will have their nomination papers, including their financial statements, made public on Nomination Day. This aims to encourage transparency and discourage hopefuls from exaggerating their credentials. Dr Tony Tan Keng Yam's time in the Istana has come to an end. His last day as Singapore's seventh president was Aug 31. He was sworn into office on Sept 1, 2011, following the country's most heated presidential contest yet, beating out three other contenders to win by a narrow margin. Dr Tan, 77, was a long-time PAP MP before he left politics in 2006. He was first elected in 1979, and was made deputy prime minister in 1995 - a position he held until he stepped down in 2005. Until a new president is sworn in, the chairman of the Council of Presidential Advisers, Mr J.Y. Pillay, will serve as acting president. No more empty promises this election. Presidential hopefuls must now make a statutory declaration that they understand the role of the president as spelt out in the Constitution. "It will then be inexcusable if he deliberately chooses to disregard the limits of the Constitution and makes promises or statements exceeding this role," said Minister Chan Chun Sing. This arose after several candidates made claims and promises in the 2011 election that suggested they may not have been clear about the powers and scope of the presidency. Q IS FOR QUALIFIED OR NOT? To qualify to contest the presidency, candidates must be issued a certificate of eligibility by the Presidential Elections Committee (PEC). The barriers for those from the private sector looking to make the cut have gone up to reflect the growth of the economy: They must have helmed a company with at least $500 million in shareholder equity to qualify, instead of $100 million in paid-up capital. But raising the bar, said the WP, may shrink the pool of candidates and limit it to senior public officers. Criteria for those from the public sector remain unchanged: They must have spent at least three years in a key public office. But those who do not automatically make the cut can qualify under the "deliberative" track, which gives the six-member PEC, chaired by Public Service Commission chairman Eddie Teo, some leeway. Candidates will then have to convince the committee that they have held an office which has given them the necessary experience and ability for presidential duties. Nine members - led by Chief Justice Sundaresh Menon - made up the Constitutional Commission, which was convened in February last year to review aspects of the elected presidency. The discussion process saw more than 100 individuals and groups sending in submissions, and four public hearings held. Two issues dominated: how to ensure that the president has a baseline financial competency, and how to ensure that members of Singapore's minority communities are elected president from time to time. The commission's 154-page report, which included recommendations such as reserved elections and tightening criteria for private-sector candidates, was released in September last year. The Government responded in a White Paper that broadly accepted the recommendations. 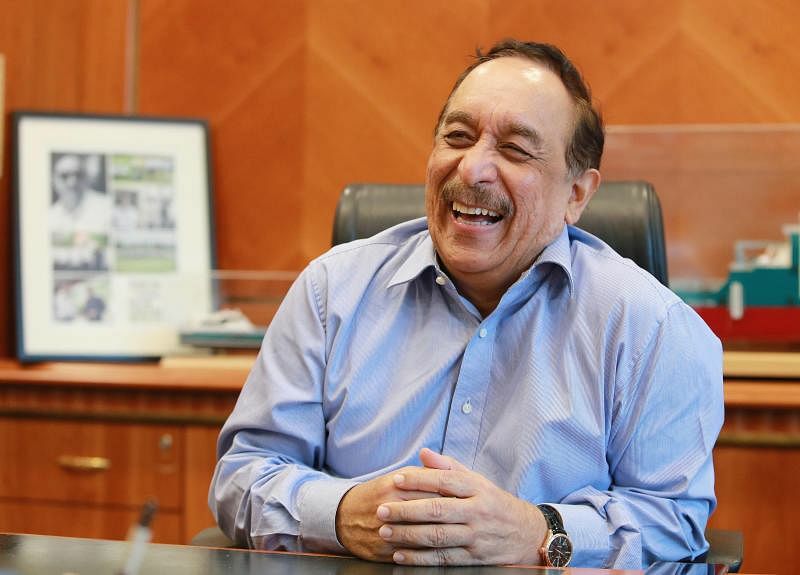 Second Chance Properties chief executive Salleh Marican, 67, was the first to make known his intention to run for election when applications opened on June 1 - and last month, was the first to submit his forms. His company was the first Malay-owned one to be listed on the Singapore Exchange, and had shareholder equity of between $254.3 million and $263.25 million in the past three financial years. Mr Salleh, whose textile merchant father died when he was 15, saw his first four business ventures fail but picked himself up each time. Now that he has done well in business, he feels it is time to give back to society "in a much larger way" - through the presidency. The reserved election - the special arrangement to ensure minorities are elected president at intervals - has drawn accusations of tokenism. Will reserved election promote multiracialism? But political leaders have shot this notion down, pointing out that the stringent criteria to qualify will not be lowered for any race. 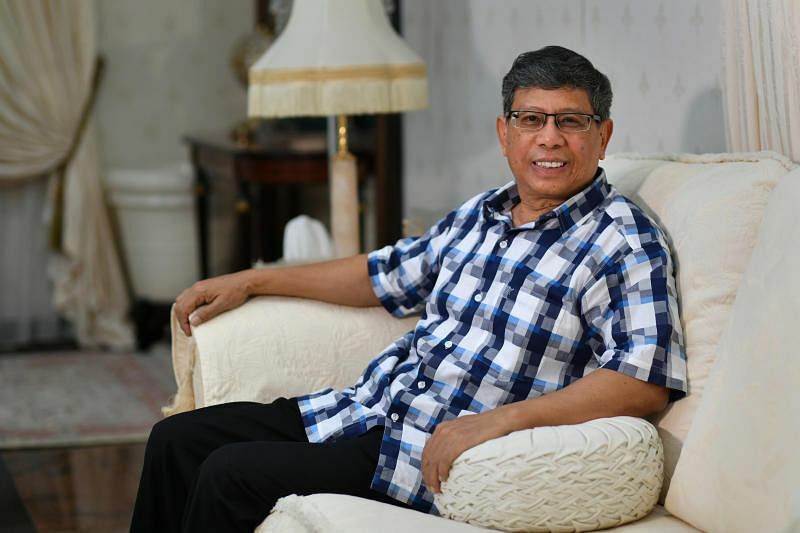 Minister for Communications and Information and Minister-in-charge of Muslim Affairs Yaacob Ibrahim insisted: "We do not want, and we cannot accept, tokenism." And Deputy Prime Minister Teo Chee Hean felt that multiracial representation could be achieved while ensuring meritocracy was not compromised. Madam Halimah Yacob herself said in an interview last year, while still Speaker: "When you say it is tokenism, it means that it is symbolic, it is perfunctory. The point is, all candidates, regardless of an open or reserved election, will have to qualify." Before the president was armed with custodial powers, his historical role was as a unifying figure representing a multiracial Singapore. The Constitutional Commission, in describing this unique symbolic function, said: "No other public office - not that of the prime minister, the chief justice or the Speaker of Parliament - is intended to be a personification of the state and a symbol of the nation's unity in the way that the presidency is." This is why Singapore needs to ensure that "no ethnic group is shut out of the presidency even as progress is made towards that ideal, lest the office of president loses its vitality as a symbol of the nation's unity". It is vital, added the commission, that minority candidates do not see the presidency as unattainable. This was also noted by the Government in its response to the commission's recommendations. "Every Singaporean has to be able to identify with the president, and to know that a member of his community can and will become president from time to time," it said. Former president Tony Tan Keng Yam pointed out that Singapore's first four presidents - Encik Yusof Ishak, Dr Benjamin Sheares, Mr Devan Nair and Dr Wee Kim Wee - represented, in turn, the Malay, Eurasian, Indian and Chinese communities respectively. But after the elected presidency was instituted, all but one of the elected presidents have been Chinese, including himself, he noted. "Our long-term aspiration should be for minorities to be elected into the office without the need for any intervention," said Dr Tan, in a message that was read out at the start of the debate on changes to the elected presidency. "But we also need to recognise the current realities." Will Singaporeans get a chance to vote in the country's first reserved election? Or will there be a walkover? Three hopefuls have staked their claim on the presidency - but only Madam Halimah Yacob - who was Speaker of Parliament from 2013 until she stepped down this August - automatically makes the cut so far. Both Mr Farid Khan and Mr Salleh Marican fall short of the financial threshold needed to qualify as a private-sector candidate. It is up to the PEC to decide whether the two businessmen have the experience and ability needed to carry out the functions and duties of a president. But all three candidates are raring to go, with campaign teams formed and plans drawn up. Madam Halimah - the most battle-hardened of the three, having stood in four general elections - said: "We always go into a contest preparing for a contest." Mr Salleh thinks "it will be good for Singapore if there is a contest", while Mr Farid noted that a walkover would leave him and many others disappointed. As Mr Farid submitted his application, along with five binders of documents on his company, he said: "Whether two-cornered or three-cornered, I am ready for it." Madam Halimah Yacob is Singapore's first female presidential hopeful - and leaders across the Causeway are paying attention. Her presidential bid has won support from Malaysian leaders, who have held her up as a role model for women. Deputy Prime Minister Ahmad Zahid Hamidi said many countries have had women play leading roles, and Malaysia aims to do the same. He cited former Bangladeshi prime minister Khaleda Zia, former Indonesian president Megawati Sukarnoputri and Madam Halimah as among those who have made it to the top on their own merit. Even before declaring her intention to run, Madam Halimah had been a trailblazer: She is Singapore's first female Malay MP since independence, the first female Speaker of Parliament, and, in 1999, was the first Singaporean to be elected to the governing body of the International Labour Organisation. Mr Salleh Marican - whose father is Indian - stumbled through a live interview conducted in Malay, Mr Farid Khan's race on his identity card is Pakistani, and Madam Halimah Yacob also has an Indian father. All three presidential hopefuls have had doubts expressed about their ethnicity, with naysayers branding them "not Malay enough" and questioning whether they are "truly Malay". All three presidential hopefuls have had doubts expressed about their ethnicity, with naysayers branding them "not Malay enough" and questioning whether they are "truly Malay". This, despite the candidates identifying themselves as Malay, and following Malay customs and traditions. The Community Committee will have the final say on whether these hopefuls are indeed Malay. Singapore's Constitution provides that a person belonging to a Malay community is one "whether of the Malay race or otherwise, who considers himself to be a member of the Malay community, and who is generally accepted as a member of the Malay community by that community". He was Singapore's first president, and its only Malay head of state - until now. Encik Yusof Ishak, who died in office in 1970, steered Singapore through formative moments of its nationhood. He became Singapore's Yang di-Pertuan Negara (head of state) in 1959 - the personal pick of the late Mr Lee Kuan Yew, who wanted a distinguished Malay as the first head of state, to show the federation that Singaporeans accepted Malays as their leaders, and to forge good relations with Malaysia's Tunku Abdul Rahman and other Malay leaders. After Singapore gained independence in 1965, Encik Yusof served two terms as president before his death from heart failure. He played a crucial part in helping to restore the trust of Singaporeans who lived through events such as the 1964 racial riots, and was a keen champion of meritocracy and multiracialism. PM Lee Hsien Loong has several times this year called on the memory of Encik Yusof. "If all goes well, another distinguished Malay Singaporean will become our next president," he said most recently at the National Day Rally. "I hope he or she will bring as much distinction and honour to the office, and be as well-loved and remembered by Singaporeans, as Encik Yusof Ishak was." The presidency must keep up with the changing needs of the country. It must also continue to evolve to stay in line with the zeitgeist - the spirit of the times. As PM Lee put it, when he spoke of plans to review the scheme last year: "We are doing this because any adjustments that may be necessary for the future should be made in good time, in order to give us time to think it over in a thoughtful, mature, unpressured way, in order to keep the presidency a robust and effective institution in our political system." The criteria change for private sector candidates, for one thing, is meant to keep pace with an economy that has grown seven times since the elected presidency was introduced in 1991. And the shareholder equity threshold - which now stands at $500 million - will have to be reviewed at least once every 12 years, or two presidential terms, by the PEC. The committee can recommend that the sum be raised, but not lowered. Parliament will then decide if the recommendation should be adopted. President Tony Tan Keng Yam called the changes passed last year "a milestone for Singapore in ensuring that the elected presidency scheme stays relevant with time and in our local context".